Govt. Launches Special Weather Services for Kumbh Mela at Prayagraj. 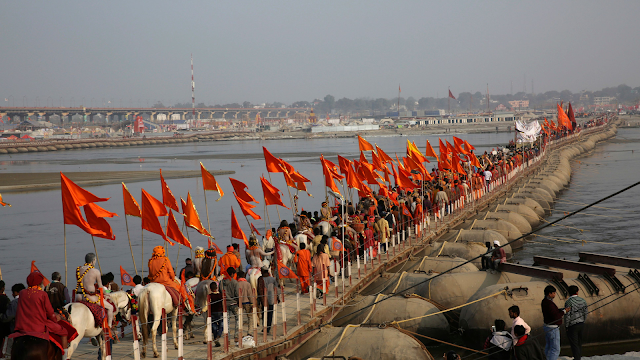 The government today launched special weather services for the benefit of people visiting Prayagraj during KumbhMela. The Kumbh Mela 2019 is going to be held at Prayagraj during January-March 2019. Union Minister of Science and Technology, Earth Sciences and Environment and Forests and Climate Change, Dr. Harsh Vardhan today in New Delhi launched special weather services for the benefit of people visiting Prayagraj during Kumbh Mela. The minister stated that to provide information of the prevailing weather and forecasts for next 3 days, four Automatic Weather stations (AWS) have been installed at four different locations at Prayagraj and have been made operational. In addition a mobile van (AWS) has also been made operational. “The real-time location specific weather information will not only be very helpful for the local and state authorities in the efficient management of the entire event but also benefit the pilgrims by keeping them abreast of the latest weather information.” said Dr. Harsh Vardhan. 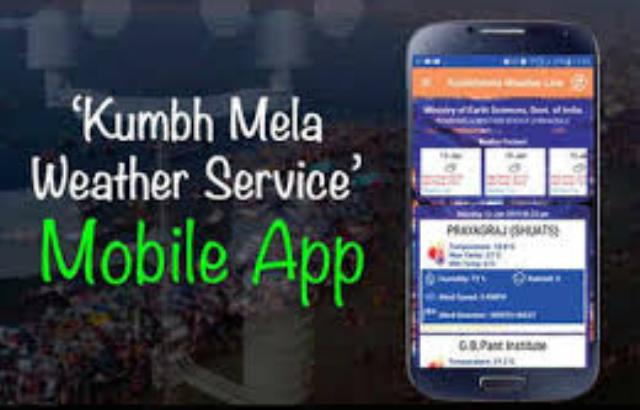 In addition the science and technology minister also launched a mobile application named "Kumbh Mela Weather Service" also has been developed to disseminate the live weather information (temperature, humidity, rainfall and winds) as observed in all the above four sites. In addition, the mobile app will also provide weather forecast and warnings if any for Prayagraj for next 3 days. The Mobile App will be available for downloading from Google Store. केंद्रीय विज्ञान और प्रौद्योगिकी, पृथ्वी विज्ञान और पर्यावरण एवं वन और जलवायु परिवर्तन मंत्री डॉ हर्षवर्धन ने कुंभ मेले के दौरान प्रयागराज आने वाले श्रद्धालुओं की सुविधा के लिए आज नई दिल्ली में विशेष मौसम सेवाओं का शुभारंभ किया। उन्‍होंने बताया कि प्रचलित वातावरण की जानकारी देने तथा अगले तीन दिन के मौसम का पूर्वानुमान व्‍यक्‍त करने के लिए प्रयागराज में 4 अलग-अलग स्‍थानों पर स्‍वचालित मौसम केन्‍द्रों (एडब्‍लयूएस) की स्‍थापना की गई है और उन्‍हें प्रचालित कर दिया गया है। इसके अलावा एक मोबाइल वैन (एडब्‍ल्‍यूएस) को भी प्रचालित किया गया है। डॉ. 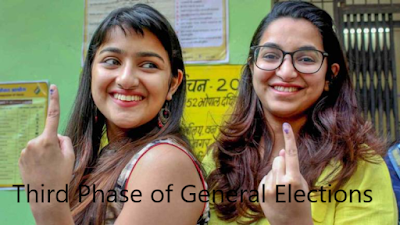 हर्षवर्धन ने कहा, "वास्‍तविक समय में स्‍थान विशेष से संबंधित मौसम की जानकारी न केवल स्थानीय और राज्य प्रशासन के लिए पूरे आयोजन के कुशल प्रबंधन में काफी मददगार साबित होगी, बल्कि मौसम की नवीनतम जानकारी मिलने से श्रद्धालुओं को भी सुविधा होगी।"